Petroleum Refining involves complex and hazardous operations, therefore, a high degree of skill and efficiency is required for its safe operation. In order to meet this requirement, freshly qualified professional degree holders are employed as Trainees under a Management Trainees Scheme. The duration of Training is normally one year which may be increased or decreased depending upon performance of the Trainee during training. Initially, the Trainees are acquainted with theoretical concepts involved in Petroleum Refining and then they are deputed to different functional areas for practical training. The lectures on theoretical concepts are delivered by professionals working in Refinery having extensive experience besides possessing professional degree in the relevant field. The Trainees are periodically evaluated to gauge their level of knowledge and skill attained and accordingly their training program is reviewed and also revised if necessary. Similarly, there is an Apprenticeship scheme whereby professional Diploma Holders and Intermediates in Science are provided Training in Refinery Operations and Maintenance. The duration of training in this scheme is 2 years for Diploma Holders and 3 years for Intermediates. Besides training of fresh professionals, the professionals already working in NRL are also provided training in order to update their knowledge with the latest developments in their field by conducting Continuing Professional Development Programs. 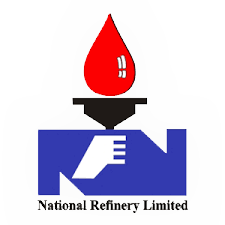 Human Resource is the most valuable asset of Refinery as professionals trained in Refinery Operations and Maintenance are not easily available. The human resource consists of Management and Non-Management staff and their total present strength is more than 1,000.